Mr Lee Kuan Yew, aged 91, founder of modern Singapore and the (late) father of current Prime Minister Lee Hsien Loong, passed away peacefully on 23 March 2015. In 2009, I was asked by New Horizon Computer Learning Centre to conduct a one-week Management and Leadership training for a group of directors and senior managers from the Ministry of Finance and Economics of the Republic of Tanzania (a eastern African nation). During the course, I was asked to summarise how Singapore transformed itself from a third world nation in 1963 with per capital income of US$1,500 to a first world nation having the highest per capita income of US$59,000 in 3 decades. My answer to them is just 3 words: "Lee Kuan Yew". Born on 16 September 1923 to a upper income family, Lee Kuan Yew's grandfathers' wealth declined considerably during the Great Depression, and his father, Lee Chin Koon, became a poor shopkeeper. Lee Kuan Yew speaks English as his native tongue and started learning Chinese in 1955 at age 32, before which he was illiterate in Chinese. Lee has two sons and one daughter. The eldest son Lee Hsien Loong became Singapore's 3rd Prime Minister in 2004 while the younger son Lee Hsien Yang was once CEO of South-East Asia's largest telco Singapore Telecommunications Limited (Singtel). During World War II when Singapore was occupied by Japan from 1942 to 1945, Lee also ran his own businesses during the war to survive, among which, he manufactured stationery glue under his own brand called 'Stikfas'. After the war, Lee studied at University of Cambridge in United Kingdom, where he graduated with a rare Double Starred (double First Class Honours). In his memoirs, Lee recounted that he had intended to return to Singapore to work as a lawyer. Upon his return, Lee worked in John Laycock's law firm for $500 per month. He also worked as a legal advisor to the trade and students' unions. On 12 November 1954, Lee, together with a group of fellow English-educated middle-class men, formed the People's Action Party (PAP) with an expedient alliance with the pro-communist trade unionists. This alliance was described by Lee as a marriage of convenience, since his English-speaking group needed the Chinese-speaking pro-communists' mass support base, while the communists needed a non-communist party leadership (PAP) as a 'smoke-screen', because the Malayan Communist Party was illegal. At that time, almost 70% of Singaporeans spoke Chinese and various Chinese dialects as their native tongues. Those who spoke English as their native tongue comprised only 20% or so of the population and were therefore, a minority. Their common aim was to agitate for self-government and put an end to British colonial rule. An inaugural conference was held in 1955 at the Victoria Memorial Hall, attended by over 1,500 supporters and trade unionists. Lee became secretary-general, a post he held until 1992. Lee won the Tanjong Pagar seat in the 1955 elections and has held that seat undefeated until today 2015. He is the longest serving MP (Member of Parliament) Singapore ever has. In the national elections held on 30 May 1959, Lee's party PAP won 43 of the 51 seats in the legislative assembly. Singapore gained self-government with autonomy in all state matters except defence and foreign affairs, and Lee became the first Prime Minister of Singapore on 3 June 1959. Singapore gained full independence in August 1965 after being part of Malaysia from 1963 to 1965. Lee Kuan Yew held the post of Prime Minister for 31 years until 1990, when he handed over the reins to his successor Goh Chok Tong. Goh held the helm for 14 years until 2004 when Lee Hsien Loong, Lee Kuan Yew's son, took over. Lee Hsien Loong has been the PM since then. 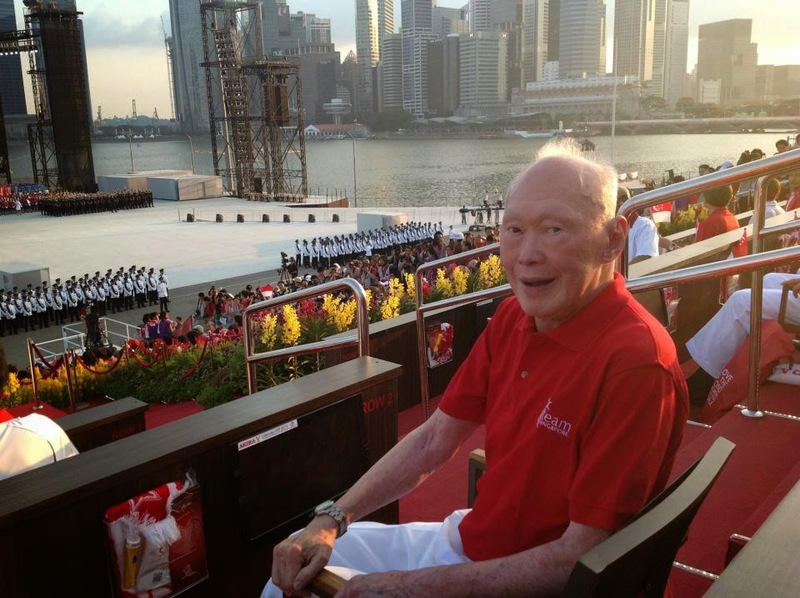 Lee Kuan Yew, in his memoirs, recounted how he has had to sing four national anthems in his lifetime: first, God Save The King when Singapore was a British colony; second, Kimigayo, the Japanese national anthem during the Japanese occupation; third, the Malaysian national anthem Negaraku, when Singapore was part of Malaysia for two years; fourth, Majulah Singapura, the current national anthem of Singapore. 3. De-selection system of hiring people. * Bonus: Test on Do You Really Have a TEAM or TEFB? 6. What to Do When Others Do Not Follow You? 6. How to negotiate for success. 7. Case study: negotiate with your customer for 20% price increase. At the end of this program, you will be empowered to rise above all management challenges. 1. Get all your management challenges resolved. 7. Realize your vision to be a GREAT MANAGER!